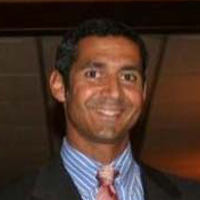 James Silva is a cancer survivor and a defense attorney with an office in Oakland, California. Mr. Silva’s practice is dedicated to the defense of people who use cannabis for medicinal purposes, consultations with qualified patients and primary caregivers who intend to associate to collectively or cooperatively under the protections of California’s emerging and evolving medical cannabis laws, and issues regarding the reform of local, state and federal laws related to cannabis use. Mr. Silva is an experienced trial attorney who has litigated in the state courts in Southern and Northern California, as well as the outlying desert counties, and is admitted to practice in the Federal District Courts for the Central and Northern Districts of California. Most notably, Mr. Silva was on the defense team that defended several medical cannabis dispensaries against a federal civil injunction brought by the United States government in a 1998 case that went to the United States Supreme Court known as, United States v. Oakland Cannabis Buyers’ Cooperative, 532 U.S. 483, 121 S.Ct. 1711, 149 L.Ed.2d 722 (U.S. 05/14/2001).